One of the best things about being a nutrition student is that we have a required food lab where we get to make and eat delicious, healthy foods. I wish I had majored in nutrition in undergrad…I never would have had to deal with the end-of-the-semester-lack-of-meal-plan-money crisis, where I’m forced to eat spinach and water for two weeks since I splurged on food the rest of the semester. I would have probably also not gained 20 pounds because I would have known what is healthy and what is not (although I probably did know Taco Bell wasn’t healthy…but I loved it). 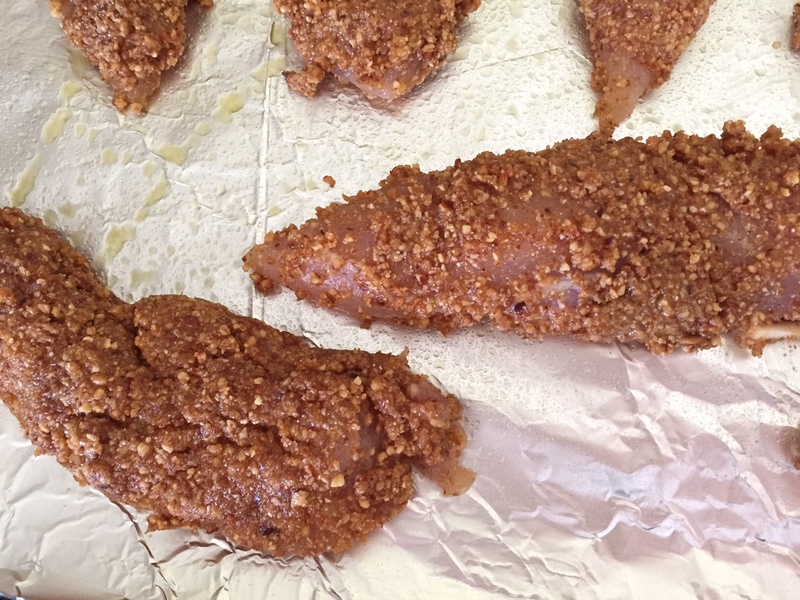 Anyways, the point of this is that in my food lab this semester we made an almond-crusted chicken that was so delicious and so easy. 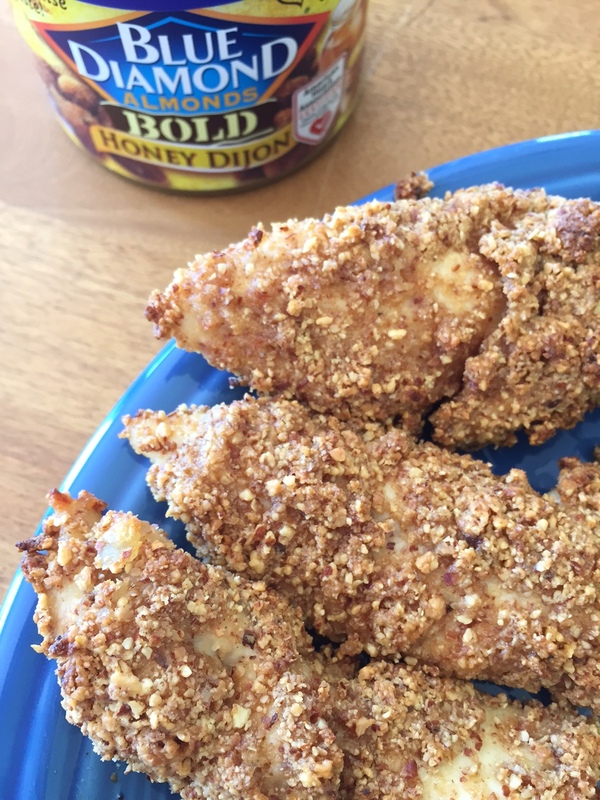 It gets nice and crispy on the outside while staying moist on the inside; when I saw these Blue Diamond Honey Dijon almonds, I knew they would give the tenders a honey mustard taste without having to douse them in a calorie-laden sauce. The end result was indeed delicious! I paired the chicken with roasted Brussels sprouts and sweet potato for dinner, and also tried the tenders on a salad one day for lunch…yum! 1.) Preheat oven to 475 F. Line a baking sheet with foil and spray generously with cooking spray. 2.) 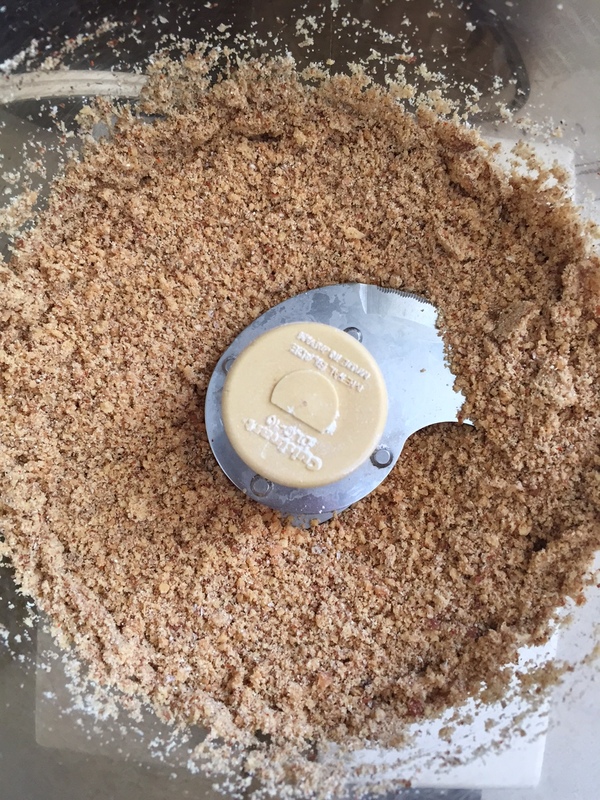 Place almonds, spices, flour, and salt and pepper into the food processor. 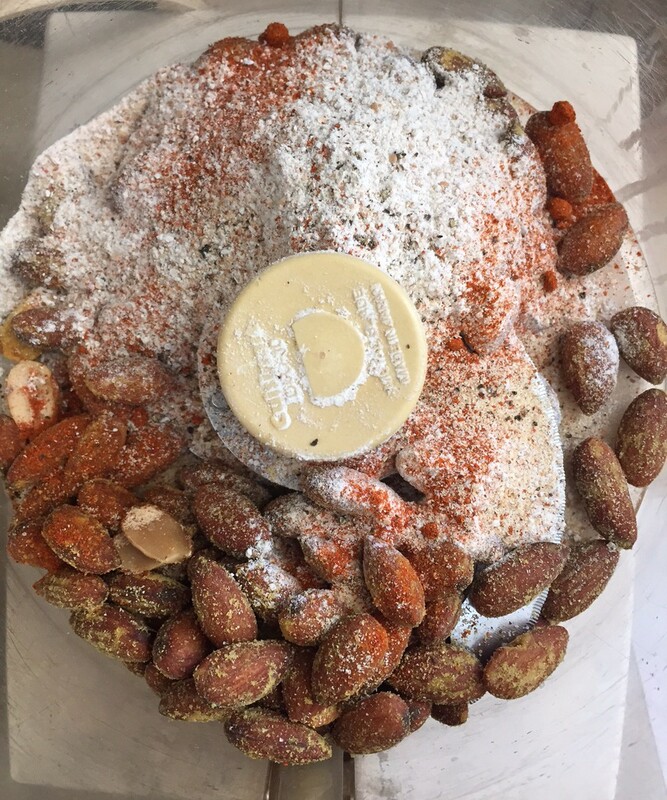 Pulse until the almonds are finely chopped and everything is well combined. Drizzle in olive oil while pulsing until it is well mixed. 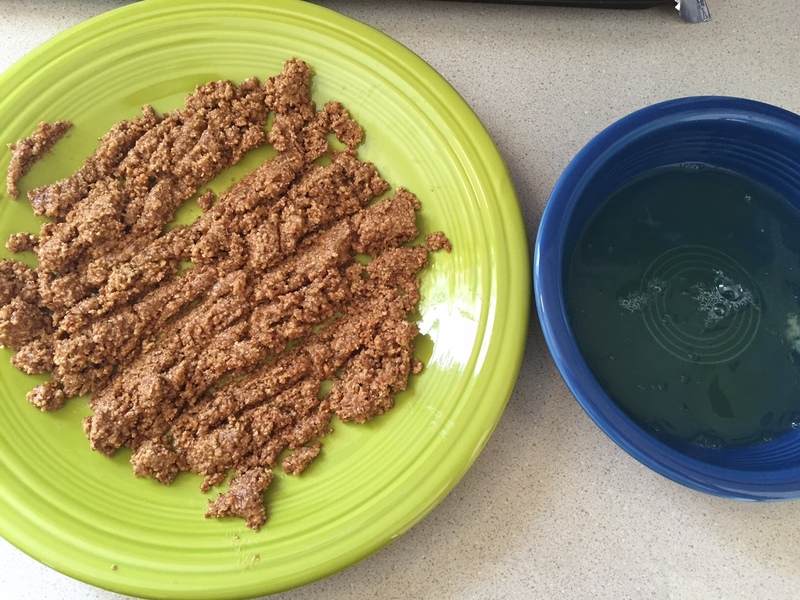 Spread mixture onto a shallow plate. 3.) In a small bowl, whisk egg whites. 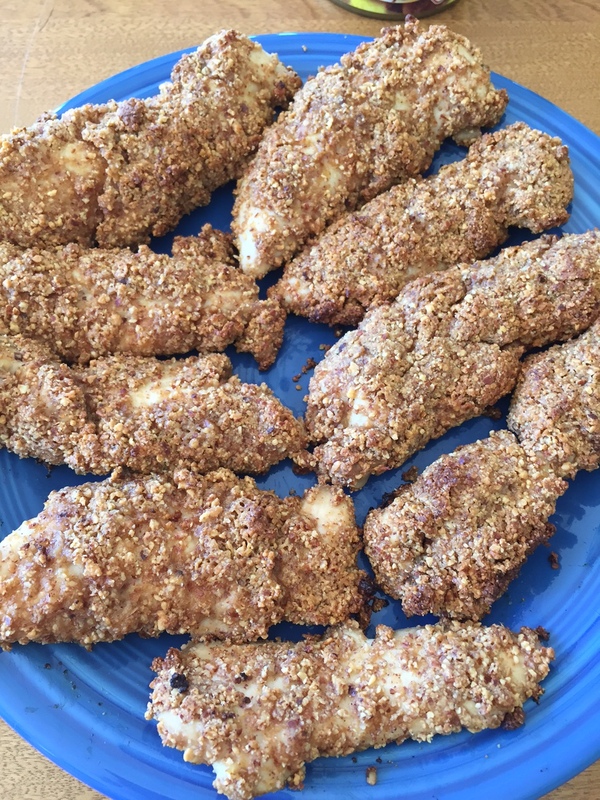 Dredge tenderloins in egg whites and then roll in almond mixture. 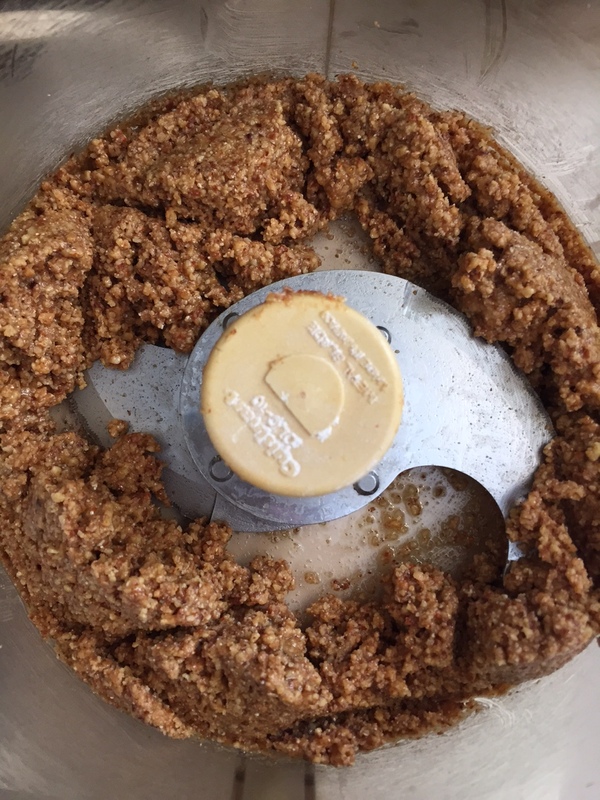 You may need to press the mixture onto tenderloins with your hands; don’t be afraid to put it on thick. 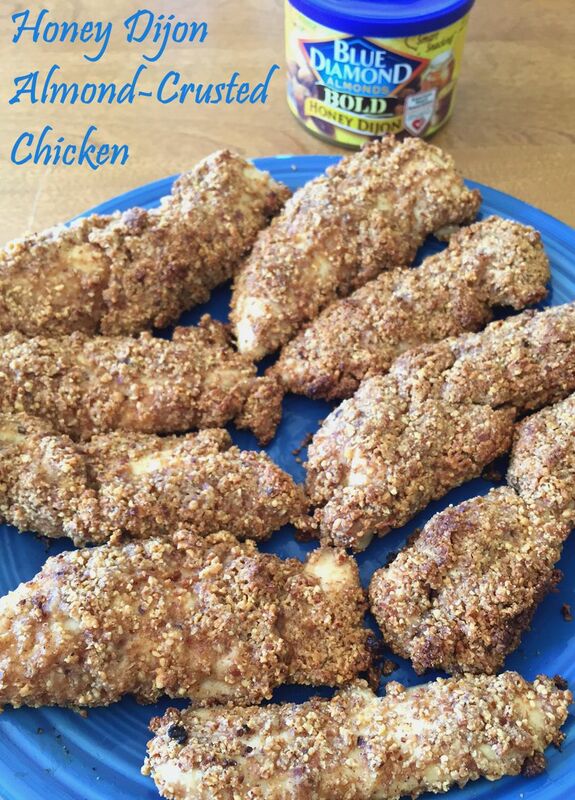 Place tenders on baking sheet and spray them with cooking spray. 4.) 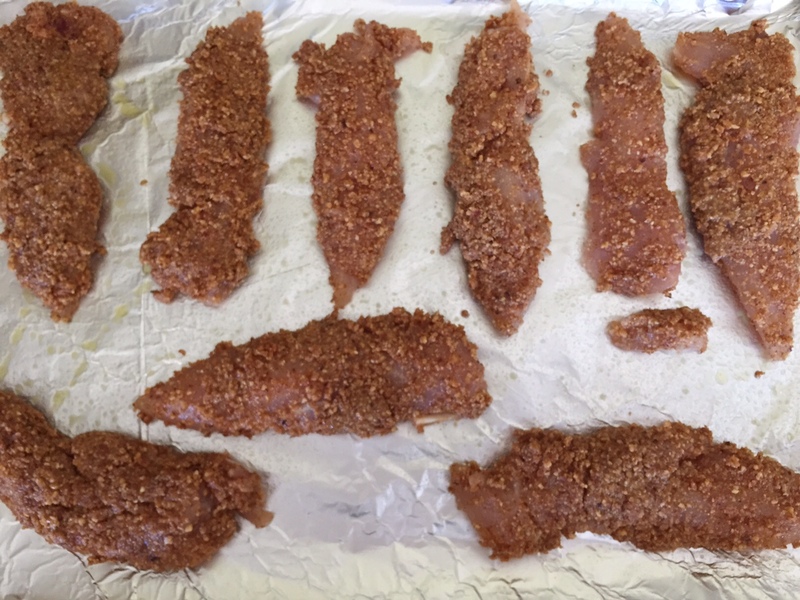 Bake until golden brown, crispy, and cooked through, abut 15-20 minutes, turning the tenders over about halfway through.